The chipmunk-sized Rugosodon eurasiaticus is the oldest representative of a prolific and long-lasting mammalian lineage. 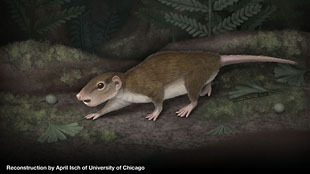 Reconstruction of Rugosodon eurasiaticusUNIVERSITY OF CHICAGO, APRIL ISCHAround the time dinosaurs were roaming the earth, rodent-like multituberculates were scurrying across the land and through the trees. 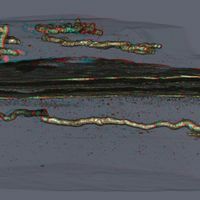 Researchers have now discovered the oldest known multituberculate fossil, of a creature named Rugosodon eurasiaticus that lived 160 million years ago, according to a paper published today (August 15) in Science. 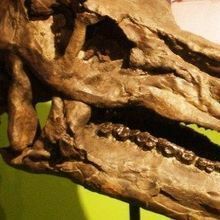 “The skeleton and skull [of this fossil] give us a clearer view of the early members of this prolific lineage,” Gregory Wilson, who studies the evolution and ecology of early mammals at the University of Washington, told Nature. 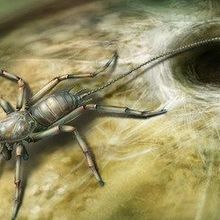 The fossil was discovered in the Tiaojishan Formation in China, the same area in which two other ancient fossils were also recently discovered. Those recent finds were classified as haramiyids. But while one fossil, Arboroharamiya, was considered closely related to the multituberculates, the other was not, leading to disagreement over the evolutionary history of haramiyids and the early evolution of mammals. 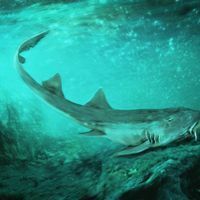 Guillermo Rougier, who studies the early evolution of mammals at the University of Louisville, told Nature that comparing Rugosodon euasiaticus to Arboroharamiya could help resolve these conflicts.